Identity theft? Cyberfraud? Email spam? Take defensive measures to protect yourself and your family. 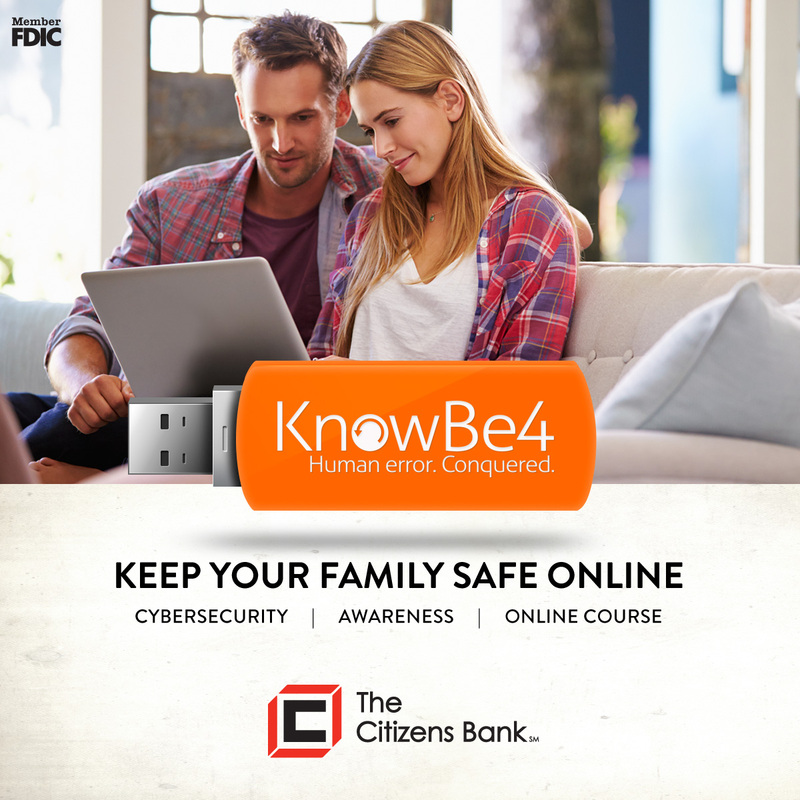 Because internet attacks are a growing and costly problem, The Citizens Bank is making a free online security course available to our customers right here on our website. This course will help to educate you about safe online banking practices, and also about passwords, giving out personal information, protecting children online, protecting your identity, securing your computer and home network, spam viruses and more such as opening up email and attachments. Being informed about how to protect yourself against cyber-risks can be a key defense against fraud and identity theft. This course is for all members of your family who are regularly on the internet and is based on real-life stories. It is taught by Kevin Mitnick, an American computer security consultant, best selling author and known as the world’s “most famous hacker”. Click here to start the course. WE MAKE IT EASY TO SWITCH BANKS. Switching banks can be a hassle, but when you use The Citizens Bank’s Switch Kit the change is made easier. Switching becomes as simple as 1-2-3. By accessing the noted link you will be leaving The Citizens Bank's website and entering a website hosted by another party. The Citizens Bank has not approved this as a reliable partner site. Please be advised that you will no longer be subject to, or under the protection of, the privacy and security policies of The Citizens Bank's website. We encourage you to read and evaluate the privacy and security policies of the site you are entering, which may be different than those of The Citizens Bank.